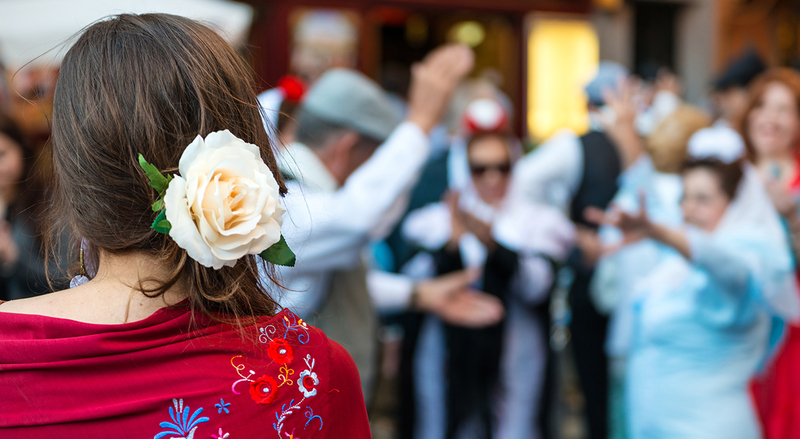 Madrid, Spain - May 15, 2015: A group of senior people dance on the streets of Madrid dressed in traditional costumes during the San Isidro religious festivals, under the watchful eye of a young woman with a flower in her head. Madrid, Spain - October 15, 2017: Scenic view of the Square of Saint Ann, Santa Ana, in Madrid a blue sky day. 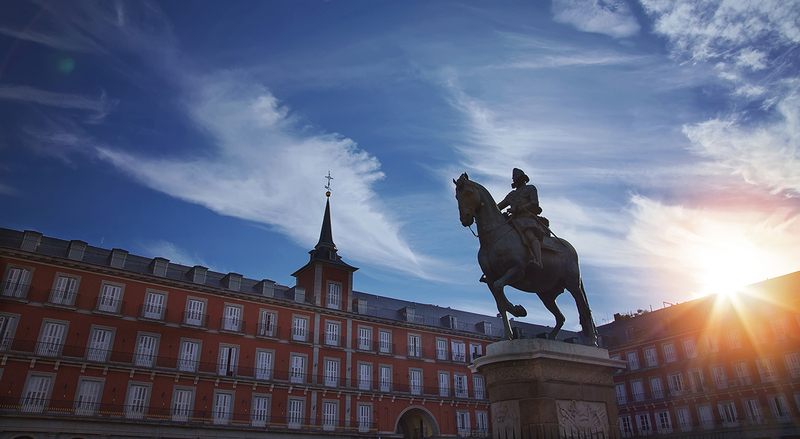 It is a plaza located in central Madrid, in the Quarter of the Letters. 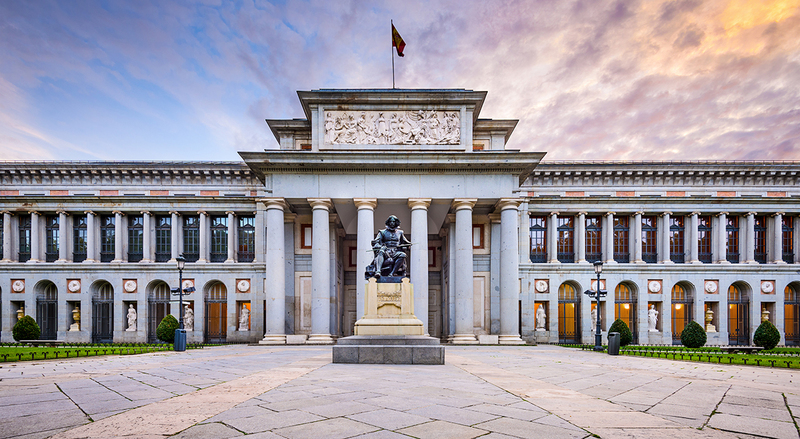 Madrid, Spain - November 18, 2014: The Prado Museum facade at the Diego Velaszquez memorial. Established in 1819, the museum is considered the best collection of Spanish art and one of the world's finest collections of European art. 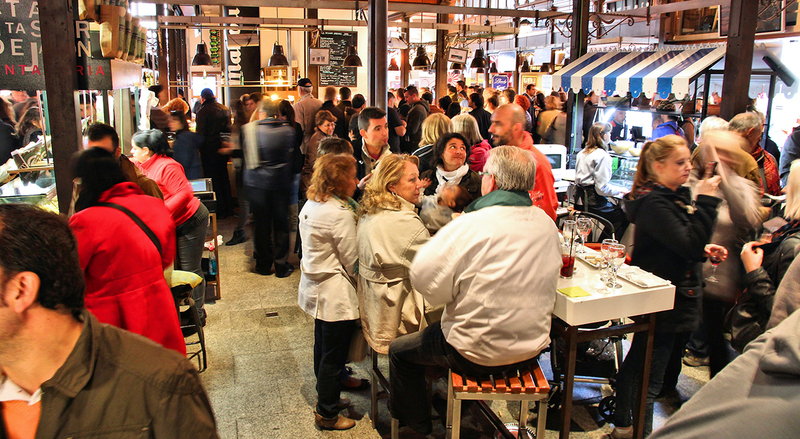 Madrid, Spain - October 21, 2012: People eat at Mercado San Miguel on October 21, 2012 in Madrid. 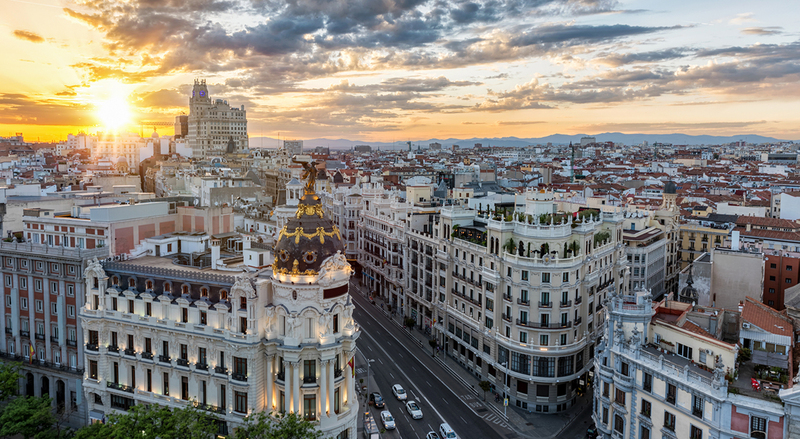 According to Tripadvisor, it is the 2nd top shopping destination in Madrid. 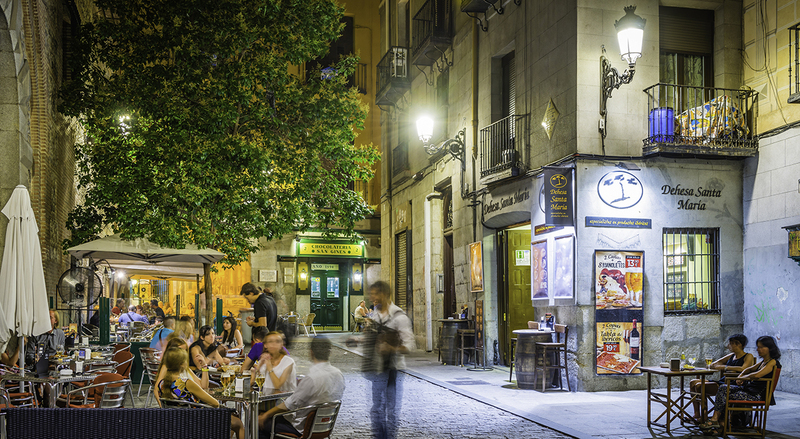 Madrid, Spain - July 11, 2015: People relaxing at the al fresco tables of the pavement restaurant bars illuminated by warm lamp light in historic central Madrid, Spain's vibrant capital city. 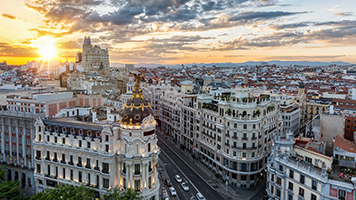 Spain’s capital has it all from world famous museums and amazing food to vibrant nightlife, buzzing street markets and a fascinating history. 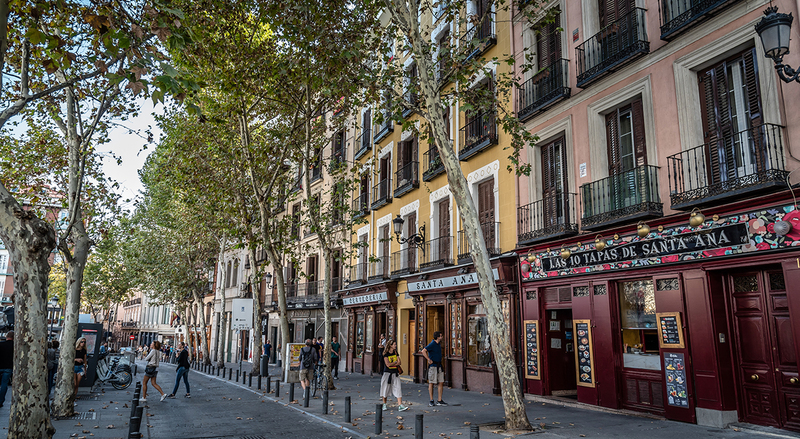 Tons of excellent restaurants and tapas bars from old-school to modern make Madrid a food lover’s paradise. 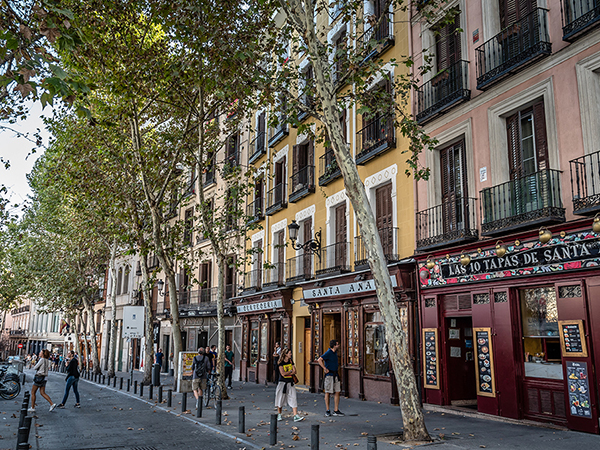 Typical dishes, such as cocido madrileño, a rich and hearty stew, can be thoroughly enjoyed here! 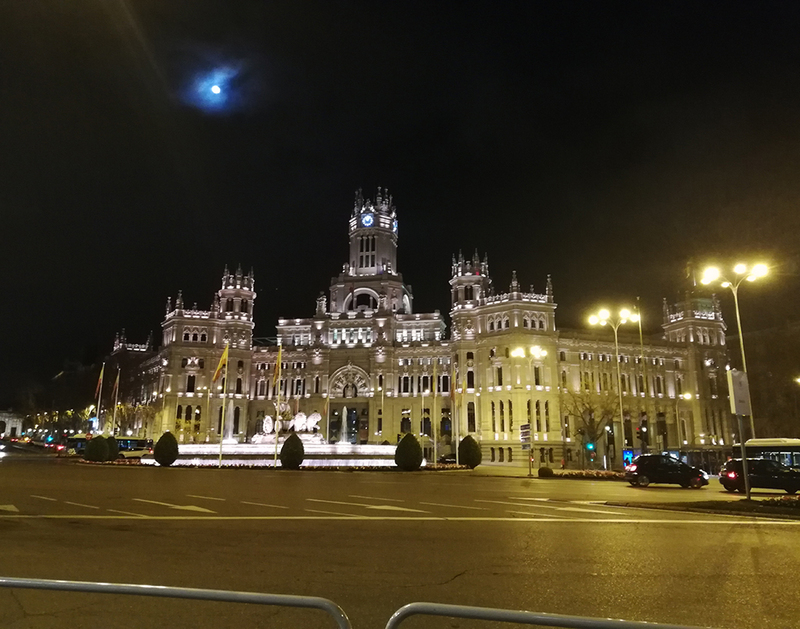 We navigate Madrid on foot, cab and Uber; just like the locals! 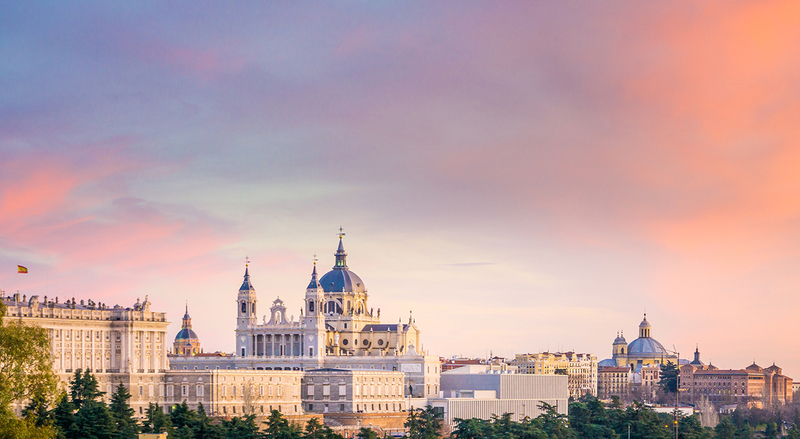 We will visit Madrid’s main cultural attractions including Retiro Park, the Prado, and the Reina Sofia Museums to marvel at the classics of Goya, Velazquez, El Greco and Picasso and many more! 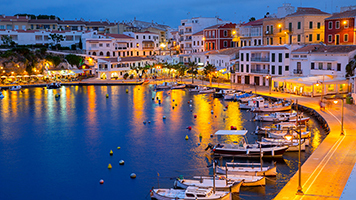 Nighttime entertainment such as authentic flamenco, live jazz or whatever you prefer can easily be arranged. 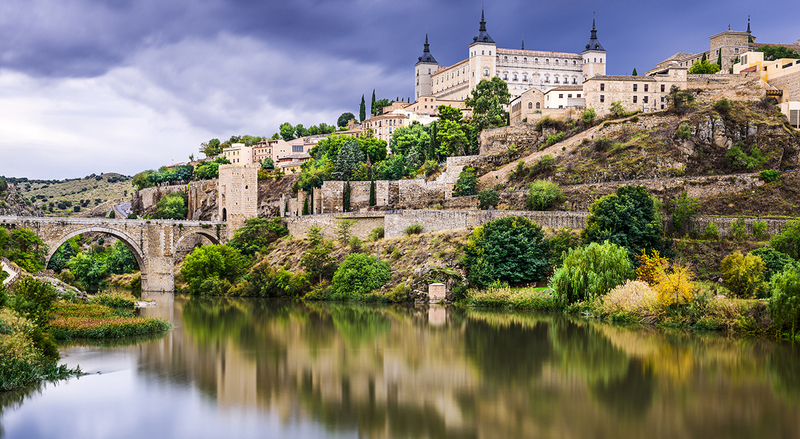 Of course, we will take you to Segovia and Toledo to visit medieval castles, synagogues, monasteries and the spectacular Roman aqueduct. Great food and wine too! 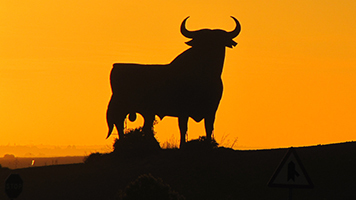 Your Madrid and beyond tour starts when I receive you at the airport. 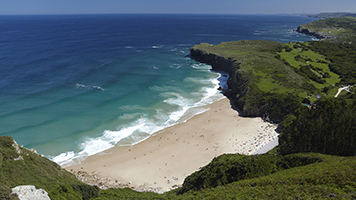 We handle all your transportation and lodging arrangements based on your vacation desires. Price per person for party or family of three – quotes for larger parties available upon request.